Like the idea of cruising the turquoise waters of Tasmania's east coast? There's good reason that Wineglass Bay has been named among the world's best beaches many times over. Take a peek at what's on offer - you can even book directly with us for many tours. 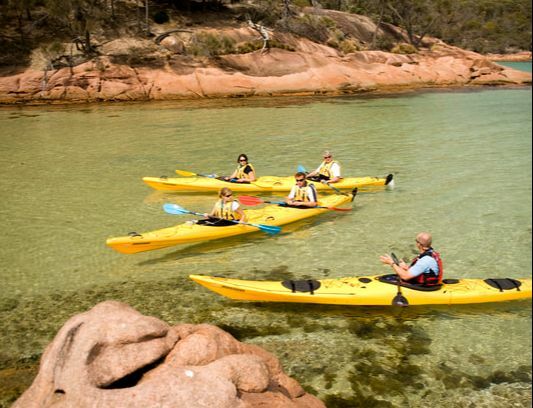 Take an adventurous ride exploring the stunning white beaches and striking granite peaks of Freycinet National Park. 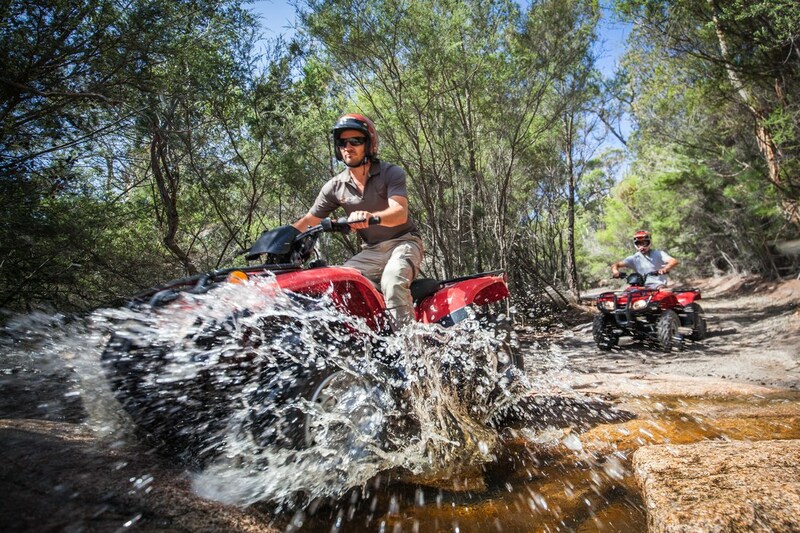 ALL4Adventure offers single and passenger all-terrain vehicles (ATVs), so that you can get right off the beaten path and thoroughly explore the spectacular Freycinet environment. Cruise along bush tracks through native eucalypt forest and pull up for sweeping coastal views. You’ll find areas few get to discover. The whole family will enjoy this experience. Choose a two-hour Adventure tour to Bluestone Bay or the Friendly Beaches, or a half-day Explorer trip to both locations, with plenty of time for relaxing and enjoying lunch. Blue Derby Pods Ride is a three-day, soft adventure mountain biking experience that combines Tasmania’s world-class Blue Derby trail network with unique, private pod accommodation and exceptional Tasmanian food and wine. Each day of your fully-guided adventure, your Experience Leaders will take you safely through the acclaimed Blue Derby trails. 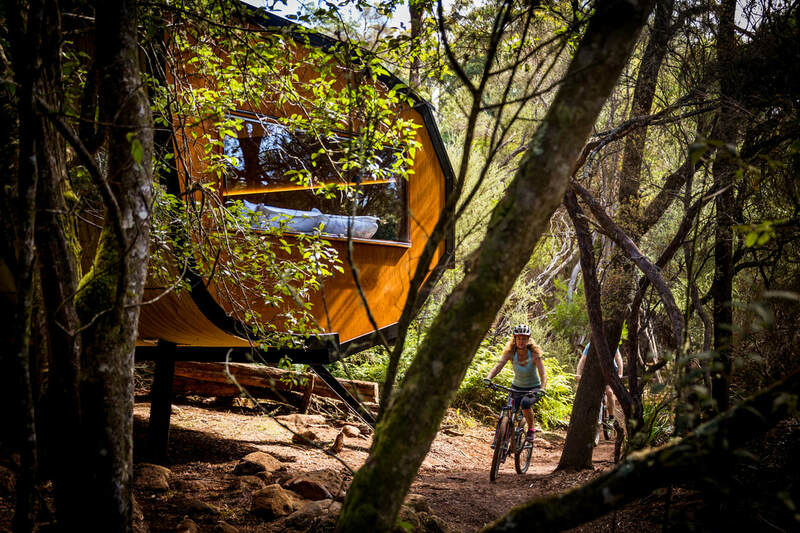 After a morning’s exhilarating riding, you’ll coast in to your gourmet picnic lunch stop in north-east Tasmania’s stunning Cascade River Valley, feeling invigorated, refreshed and empowered, having conquered another stage of one of the world’s newest and best mountain biking trails. Cruise. Walk. Explore. With East Coast Cruises the drama of Maria Island’s coastline unfolds. Sea caves, spring-fed waterfalls, sweeping sandy beaches, island wildlife, towering mountain ranges and the Painted Cliffs are just some of the highlights wrapped around a generous Tassie lunch and guided walking tour ashore. From the World Heritage listed convict settlement to the dolerite peaks and limestone cliffs, Maria brims with stories and sweeping vistas and secrets. Hop aboard and get to know the island in a way few ever do. Camping in the wilderness. Sipping Tassie wine. Paddling in cool clear waters. Bobbing in the water below bright pink granite peaks. It’s the type of experience made for a glossy brochure. Plus, if you’re under five you’re as free as the resident dolphins. 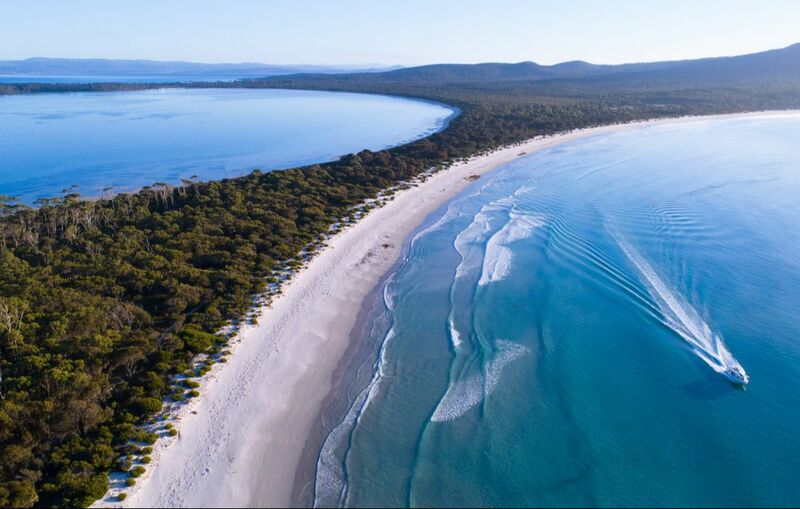 Come and experience the stunningly beautiful Freycinet National Park and Wineglass Bay from above. 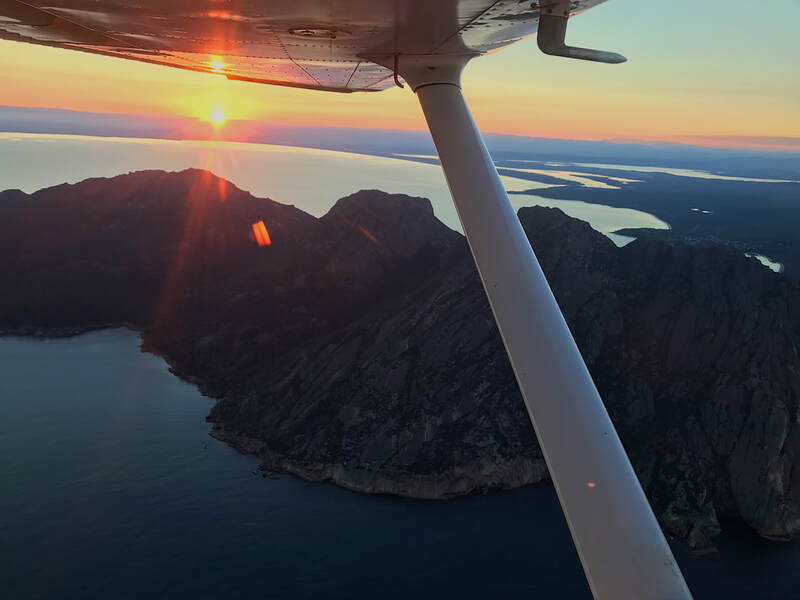 Freycinet Air offers scenic and charter flights up and down Tasmania’s east coast, from The Bay of Fires to Port Arthur and everything in between. Witness Wineglass Bay at sunrise, see the stunning cliffs on the Freycinet Peninsula or perhaps watch the Hazard mountains light up at sunset. For something a little more adventurous, take a trip to Maria Island to explore the history, natural beauty and amazing wildlife. 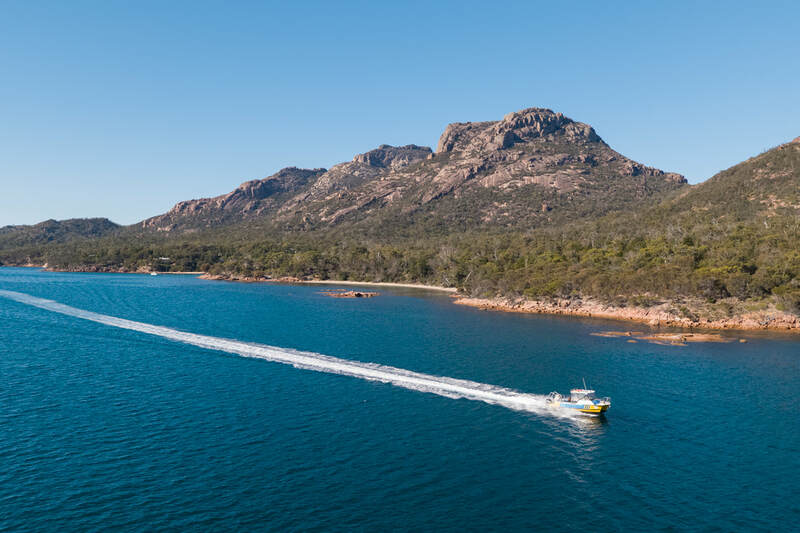 Freycinet Aqua Taxi offers transfers into the heart of Freycinet National Park, with one-way or return fares departing from Coles Bay or Freycinet Lodge. If you’re heading to Wineglass Bay, avoid the crowds and the climb and jump on the taxi – it’s the fastest way. From the beach landing at Hazards Beach it’s a flat 30-minute walk across to Wineglass Bay. It’s perfect for families, people with limited mobility or those looking for a unique way to experience Tassie’s oldest national park. There’s a summer and winter schedule, with fares starting at $35 per person one way. Freycinet Marine Farm’s cool, clean water forms its foundation. As the venue’s only surroundings are forests, vineyards and farms, the water is pure. So too, then, is the produce. You can taste the clean, pure waters of Tasmania’s east coast with every oyster that passes your lips. The farm’s sales room sells its produce direct from the ocean to you, either fresh or cooked in delicious flavors. Enjoy Tasmania’s freshest seafood on-deck or taken home, with oysters and mussels harvested daily, and scallops, abalone, rock lobster, urchin and salmon sourced from local fishermen. They also sell local wines from the region. 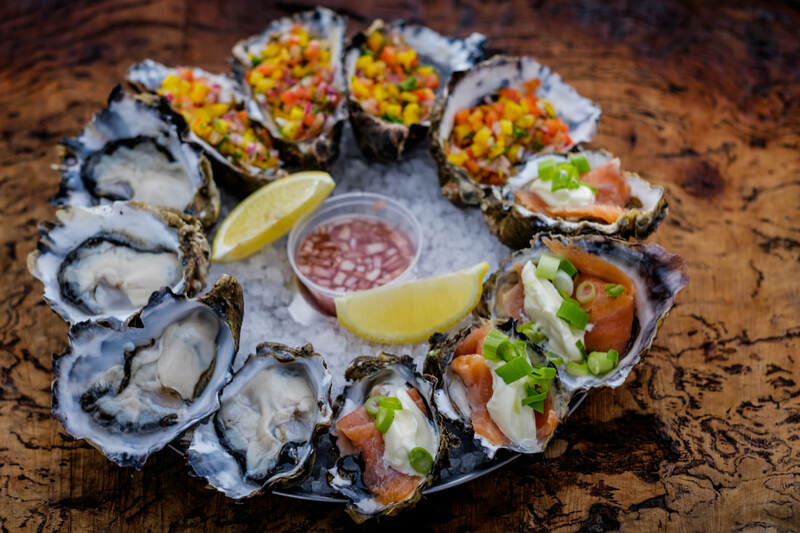 The farm offers land-based tours that include a live oyster display and an oyster shucking demonstration, as well as the opportunity to taste Tasmania’s finest seafood. Treat yourself to a food and adventure tour on the iconic east coast of Tasmania. 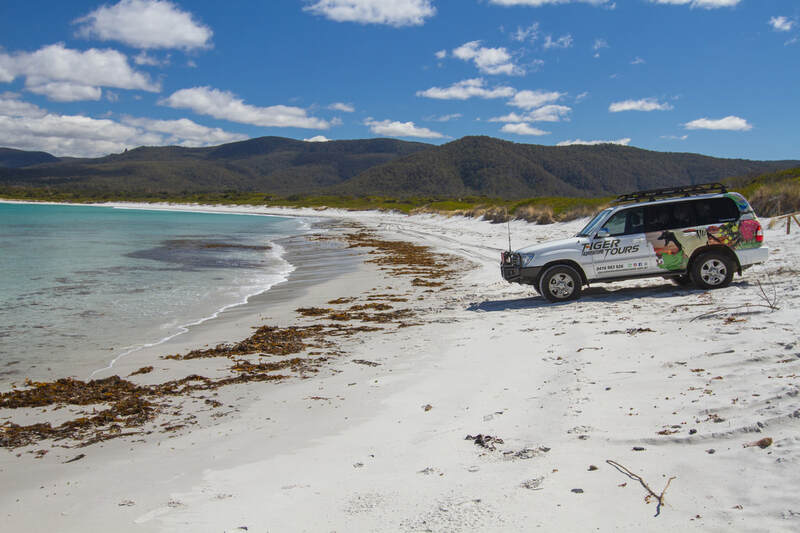 You’ll see secluded destinations such as Freycinet National Park, Bay of Fires, Fertile Valley and Blue Tiers comfortably in a four-wheel drive vehicle. Witness extraordinary natural wonders, interact with local wildlife and truly experience Tasmania’s natural beauty with your expert guide. Once on location your personal chef will prepare a carefully-planned menu using freshest local ingredients and produce served with regional wines and craft beers. No matter the occasion – whether it be with family and friends or a romantic day out – wine and dine in the wild with a Tiger Adventure Tour. 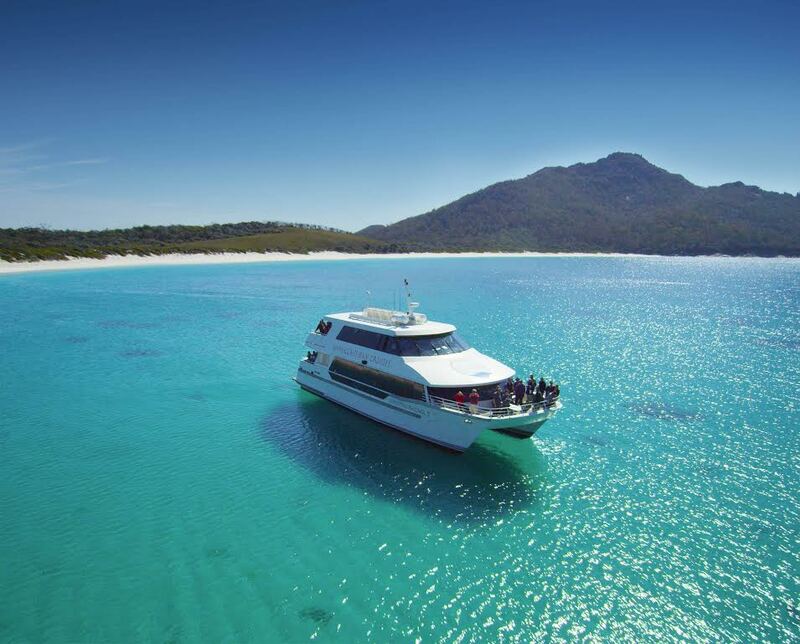 Experience the exquisite beauty of the Freycinet Peninsula on a Wineglass Bay cruise. Beautiful and remote, this is a place that few will ever visit. A shimmering crescent of white sand fringes the edge of a perfect turquoise sea. Enjoy a Tasmanian ploughman’s lunch at anchor in relaxed style. Taste local beverages and cool-climate wines in nature's best wine bar in the wilderness. You’ll feast on a bento box full of fresh local produce such as salmon, cheese and chocolates, prepared by Freycinet Lodge. Get up close to the scenery and wildlife of Wineglass Bay in our Vista Lounge, with its comfortable indoor quarters and spacious outdoor deck. The Sky Lounge offers privacy, comfort and personal service along with stunning views from the top deck of the Schouten Passage II. If you like a walking holiday, why not try one based on a yacht? 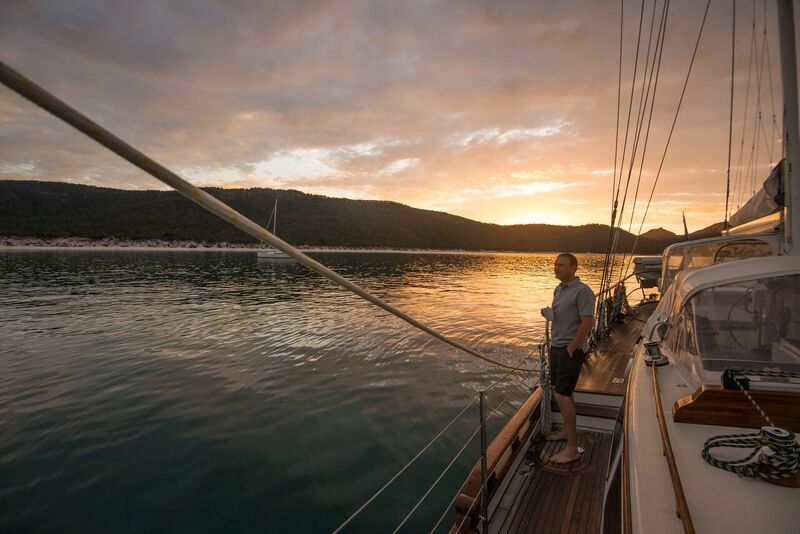 With the Lady Eugenie, a 75-foot luxury ketch, as your home after each day’s walk this is a holiday like no other. Wineglass Bay Sail Walk is a four-day walking holiday beginning at Orford and concluding at Wineglass Bay. There’s also a six-day trip that takes in the Tasman Peninsula. The fully-guided experience includes superb three-course dinners served aboard Lady Eugenie or, conditions permitting, under the stars. If you’ve never finished a hike by arriving to a linen-topped dining table complete with Tasmanian oysters and Apogee bubbles, you’d best book a berth on Lady Eugenie. Barefoot beach dining is just one of the memory-making offerings, along with climbing a peak on Maria Island, sailing up the Freycinet Peninsula coastline and keeping watch for migrating whales.